Each network improvement has been evaluated based on cost, engineering feasibility, property impacts, accommodation of vehicles, cyclists and pedestrians, traffic operations, road network connectivity, impacts to the natural, socio-economic and cultural environments, and many other factors. 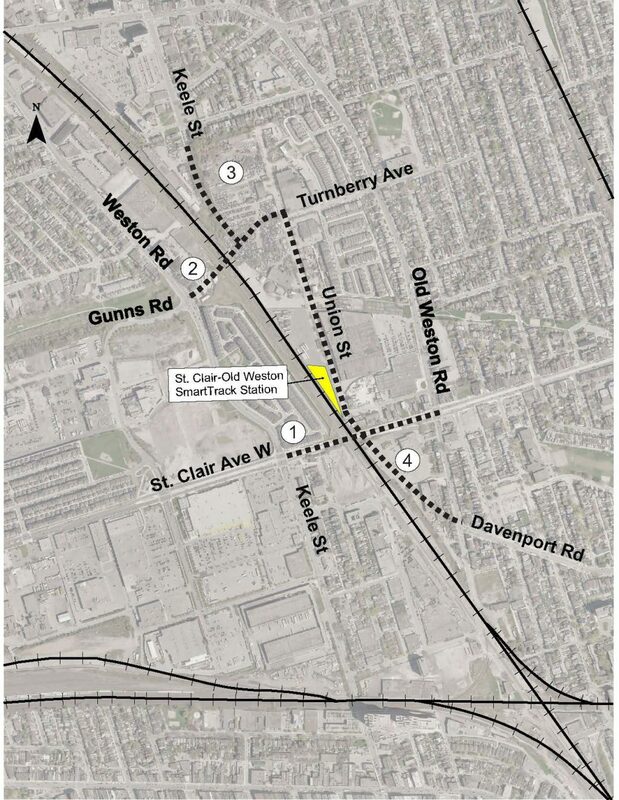 The City is working closely with Metrolinx to develop the design of a new SmartTrack Station on the Kitchener GO Rail Corridor near Keele Street and St. Clair Avenue West. The infrastructure improvements identified through the TMP will support access for buses, pedestrians, cyclists and passenger pick-up/drop-off to the new SmartTrack station.